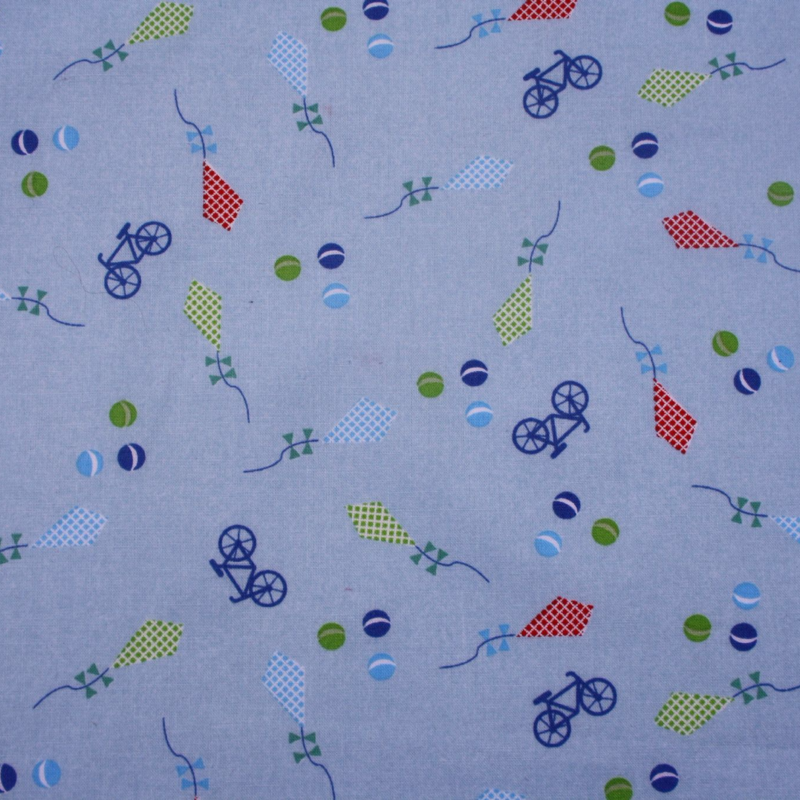 This gorgeous pale blue cotton has a lovely summery print incorporating kites, frisbees, bicycles, and tennis balls. It's a feel-good design, and makes you think of holidays and long, warm summer days. This print makes a really lovely Droolbuster, particularly when combined with the Turquoise or Royal Blue Terry Towelling options. It is from our premium range of designer cottons, and has a lovely soft and smooth feel. Droolbusters are a perfect practical accessory for any dog that drools. 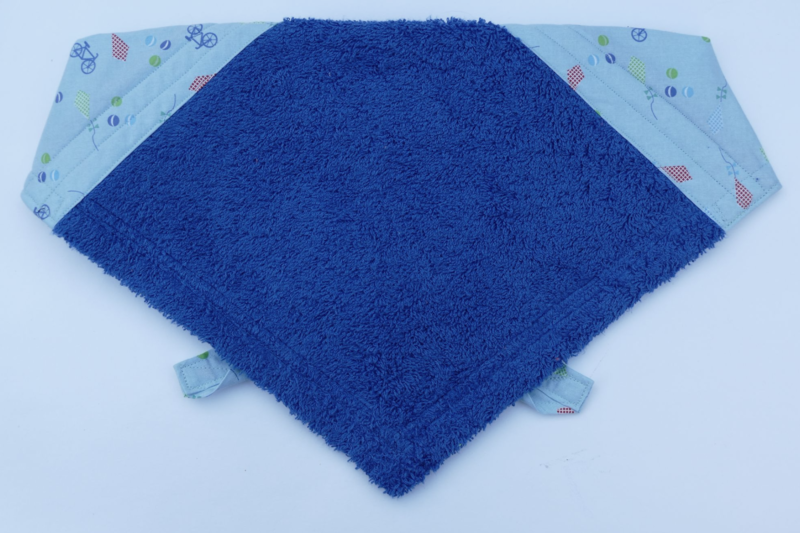 The high quality towelling is super absorbant, and Droolbusters are very comfortable for your dog to wear. Droolbusters are available in 6 sizes.